← Tips on preparing your fresh asparagus. Do you ever look out your window, sun shining, sky clear and blue, intermittent white fluffy clouds hanging atop the surrounding hills and think there is no better place on earth to be then right where you are in that moment. I feel so grateful and lucky to say I live in what I consider to be one of the most beautiful places on this planet. And since Wayne and I moved to Hobart, Tasmania nearly six years ago we have played at being a tourist on numerous occasions, always finding something new, fun, interesting and absolutely beautiful to do. For me there is nothing more tranquil than a walk in the wilderness, the sound of water trickling, leaves rustling and silence. And the views. 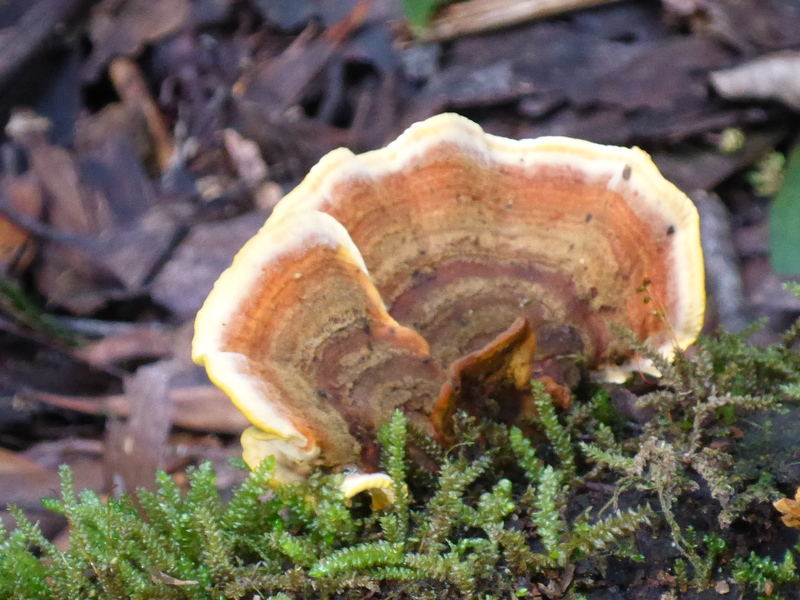 Waterfalls, Mountains, Rivers, creeks, moss, trees and fungi. This is what you can expect to experience on some of the many walks offered in and around Hobart, one of the things which makes playing tourist exhilarating and fun! So on a glorious spring Sunday Wayne and I decided to take advantage of the sunshine and the fact there was still some snow clinging to the mountains around Tasmania, to pack a picnic lunch and head towards the hills! Where did we go this time I hear you ask? 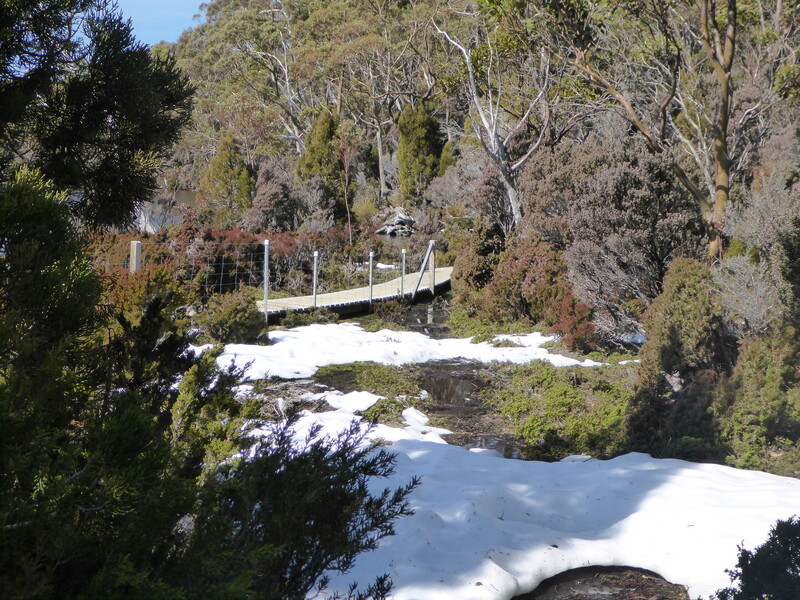 Just over an hour’s drive from Hobart is Mount Field National Park, where you will enjoy numerous walks (long and short), picnic facilities and even skiing if there are good snow falls in the winter. So if you’re visiting Tasmania (or living here and wondering what to do on these sunny spring days) put on your walking shoes, pack a picnic lunch, take a jacket and get out there. You will love it, its nature at its best! 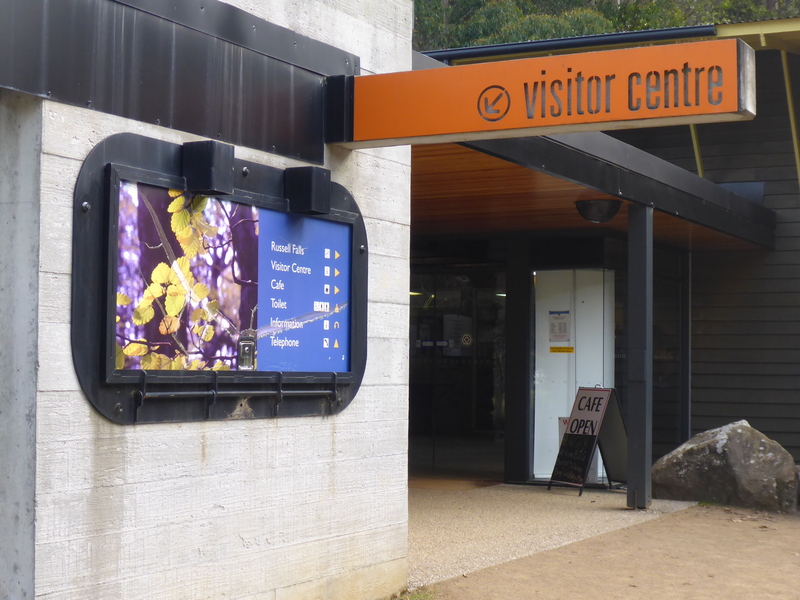 We arrived at Mount Field National Park, went straight to the visitor centre, which is your first stop for information, maps and of course your parks pass and there we renewed our two year pass. Being a national park you will need a pass but don’t worry they come in various forms and prices from $12 for a single person walking pass to passes for your car (which includes car and passengers), there are daily passes, holiday passes and annual or two year passes. The fees you pay go towards maintenance of the parks which is great for all of us so we can continue to enjoy the beauty of this great state. 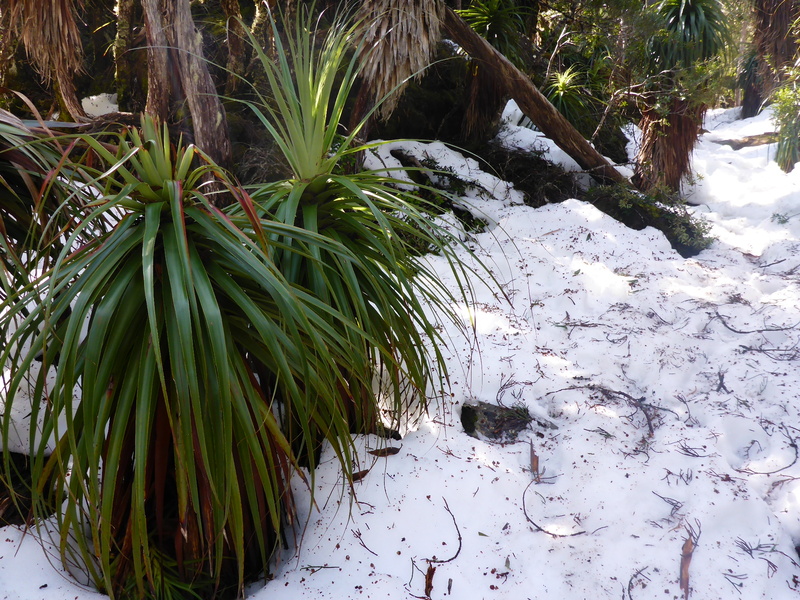 For more information on Mount Field National Park, other national parks and fees go to www.parks.tas.gov.au. The visitor centre also houses interpretation displays, a shop, toilets and a café so it is a great starting point. From here you will see the signs leading you to Russell Falls but we will come back to that later as we decided to drive up to Lake Dobson for a walk around the lake and to check out what snow was still gracing us with its presence. From the visitor centre jump in the car and head up Lake Dobson Road, an unsealed dirt road which although is only 16 km will take about 30 minutes travel time as it is curvy and narrow. There are some short walks and lookouts along the way so make sure you stop, get out of the car, take it all in and enjoy the scenery. 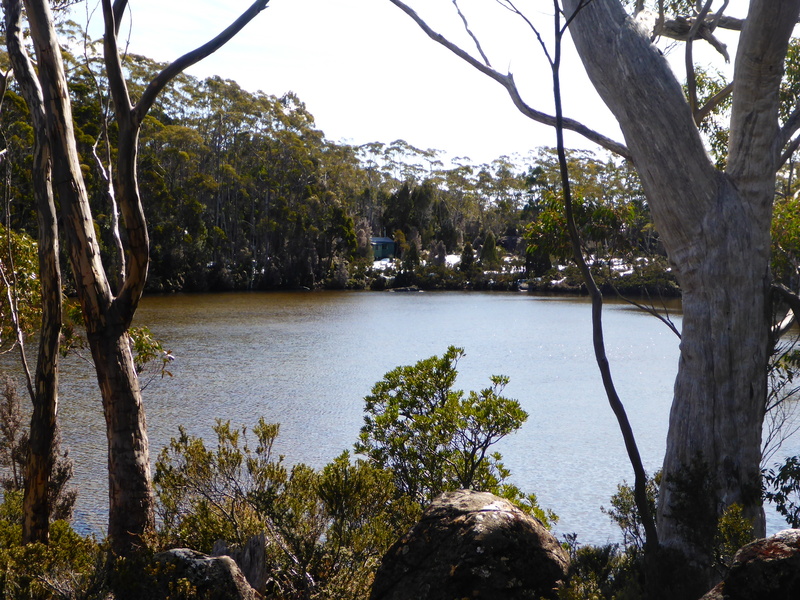 On this day we stopped at the Woodland Walk and the Moorlands Mosaic Boardwalk, both short walks through a bit of bushland and trees. At Lake Dobson the sunny was shiny and bright, there was snow on the surrounding mountains and water was trickling through every nook and cranny, under pathways and down rocky slopes. It was kind of mesmerising and peaceful. We walked the Pandani Grove Nature Walk around the lake which takes about 40 minutes and is an easy, fairly level walk with some boardwalks and some dirt paths. Here you will see pandani plants, pencil pines, scrub and tucked in amongst the trees are a number of huts which although are sparse in amenities are available to hire. Now back down to the parkland area where there are numerous spots to picnic, barbeque, run around and play or just relax and soak up some sunshine. You will also notice there is a campground with powered sites, a shower block, laundry and more. We found a lovely sunny spot next to the Tyenna River which had a wood barbeque, picnic table and plenty of grass, trees and birdlife. There is also shelter and undercover picnic areas nearby for those not so pleasant days. After a spot of lunch it was off to Russell Falls and Horseshoe Falls. This is an easy walk taking about 30-40 minutes to take in both waterfalls (there are some stairs to get to the top of the falls though). 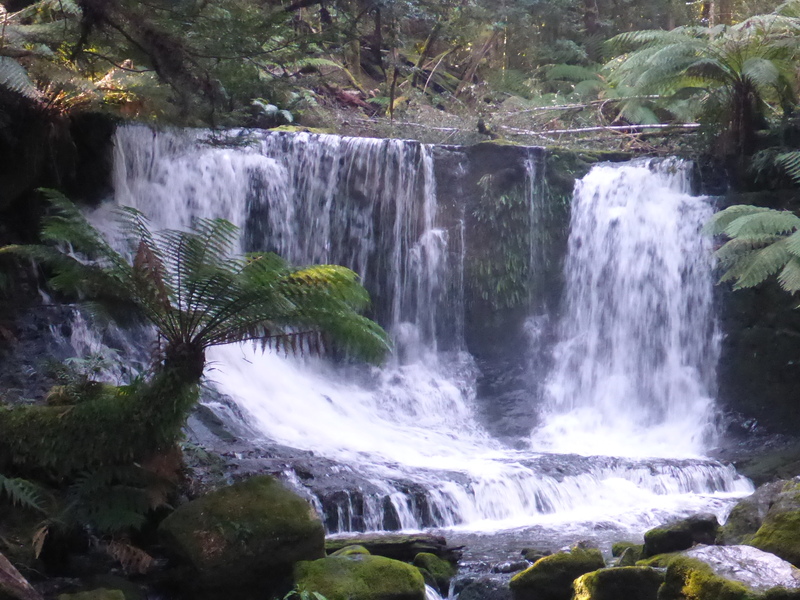 You can also do a longer walk (2 – 2 ½ hours) continuing on from Horseshoe Falls to the Tall Trees Circuit and Lady Barren Falls which we have done in the past and is well worth the effort and time if you can fit it in. You can also do even longer walks within the national park ranging from 2 hours up to 8-9 hours also ranging in intensity from moderate to more difficult. More details again can be found on the Parks and Wildlife Service website (as above). 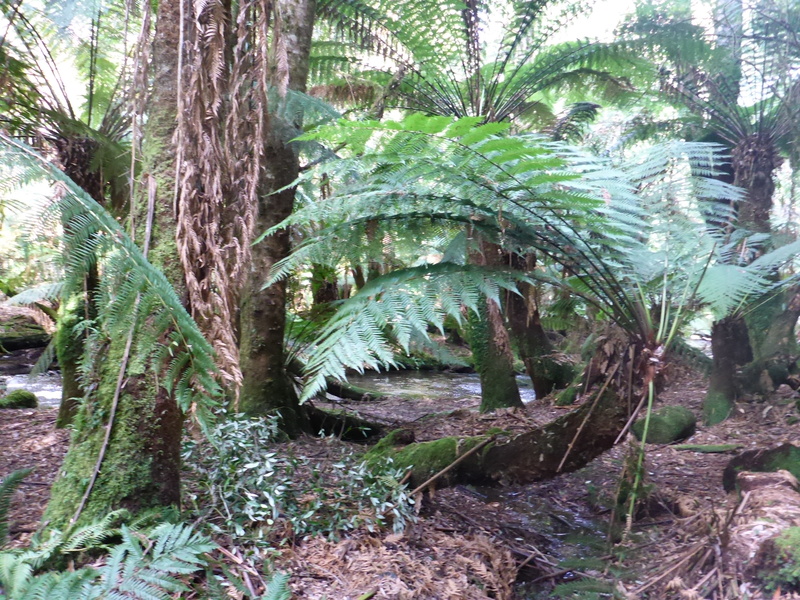 The walk to Russell Falls is in amongst ferns, large trees both standing and those which have fallen, moss covered ground, water flowing down the creek from the falls and fungi growing on tree trunks and branches. Stop and listen. Even with the sounds of a forest it is serene and somewhat quiet. You are in a different world, a peaceful world and a beautiful world so make sure you take it all in, snap away with that camera and keep your eyes open as you may just find a wallaby or echidna roaming around. Flowing water cascading over Russell Falls sends a mist through the air, the view is brilliant and you can make out the tiers of the waterfall, the water flowing over each one before finally resting at the bottom. Continue on to the top of the falls which gives a different view and a different feel as you watch the water pool and flow at each tier. 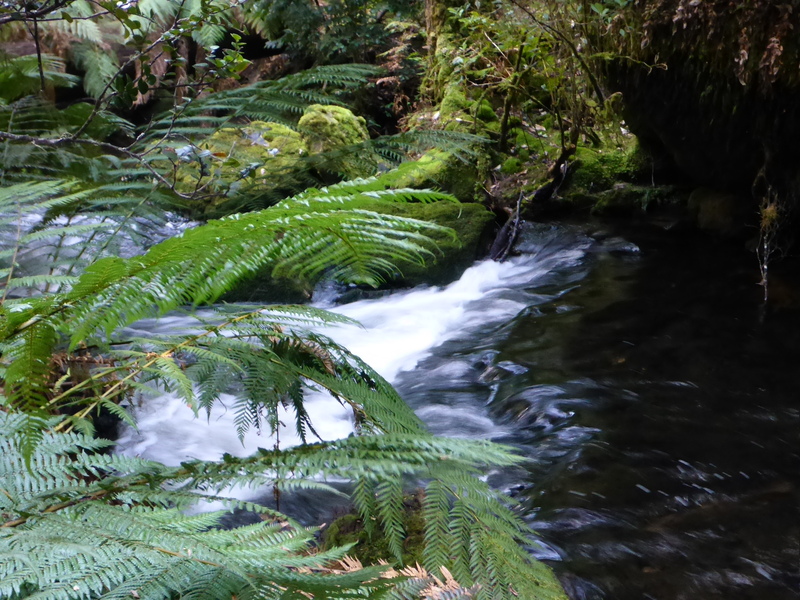 A bit further on, following the signs you will find Horseshoe Falls with, as the name suggests, a horseshoe shape and water falling from the different sides in and over the ferns and mossy rocks. 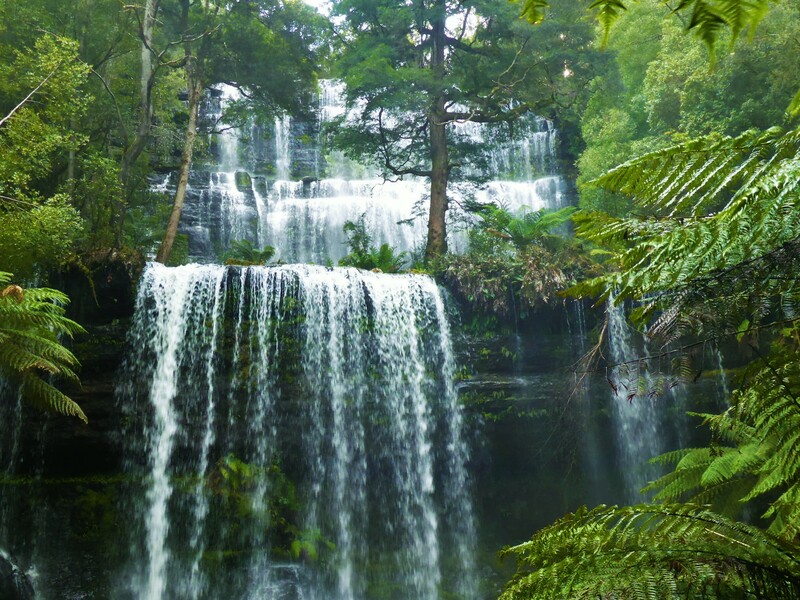 It really is a sight to behold and worth the time and effort to take a day to visit this part of Tasmania. You can plan your day, do a few walks, have a barbeque or picnic or even spend a night or two camping or in accommodation nearby just so you can fit more exploring into your schedule. Whether it is a few hours, a day or even a few days just enjoy the beauty, the peacefulness and the fun of having time out of your everyday life to explore nature at its best. 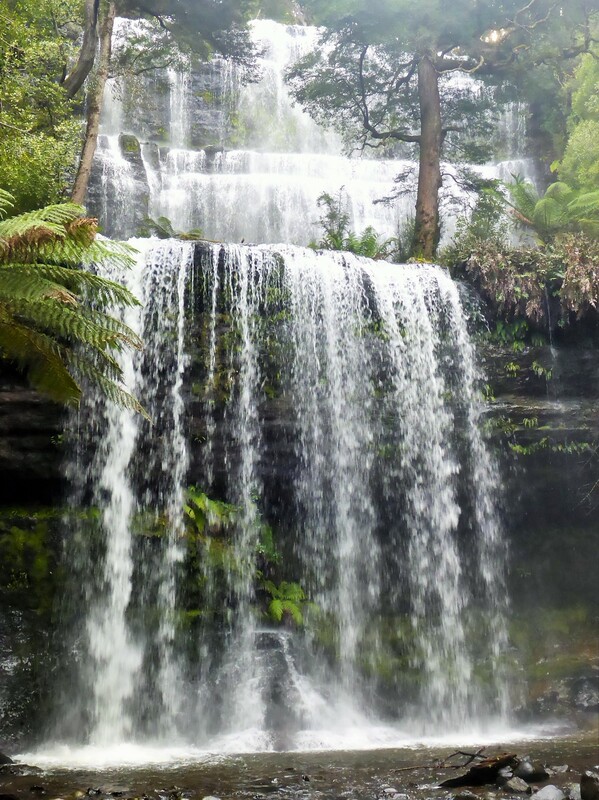 This entry was posted in Home, Stories of my life, travels and Tasmania, Tasmania the Beautiful and tagged Australia, Bushwalks, Hobart, Lake Dobson, Mount Field National Park, National Parks, Tamania, Travel, Walks, Waterfalls. Bookmark the permalink. It looks great Donna, and I love reading the articles! Thank you Simon. I am so happy that you are enjoying my blog. Maybe one day you can bring that lovely family of yours over to Tassie for a visit.